SEO is the process of optimizing your web site – and any other owned media) for the purpose of getting better traffic from search engines. An optimized web site is more easily understood by Search engine crawlers, so there are more chances of ranking higher in SERPS (Search Engine Result Pages). Search engine optimization is organic and cost effective way of getting improved search engine traffic and visitors to your site or blog. It requires ensuring that 'keywords' have the proper frequency on a page (called keyword density); and that the page title and page Meta tags are also optimized for each page so they reflect not only the site's content but also the desired keywords. SEO is also reliant on incoming links. Having quality inbound links increases page popularity and helps gain traffic to the site. Having a solid SEO means that a visitor and the search engines will find a quality site with relevant material when they arrive on a website or a page as a result of a search query. SEO is not a quick fix and it takes time to see the results of a well optimized site. SEO is also called Organic Search. There are two kinds of of SEO – on-site SEO or on-page SEO, and off-page or off-site SEO. On-Page SEO are guidelines and mechanisms you can apply to your web site, your micro-site or blog so that it’s more search engine friendly. These include the proper use of titles, good descriptions, properly formatted URLs, correct use of H1, H2 (types of headlines and sub-headers) and images (tagging, naming properly, alt-tagging) and more. Read about What is Search Marketing: Basics of SEM and SEO here. Organic search or SEO (Search Engine Optimization) can really be made uncomplicated – simple – if it's understood what it's really there for. Often performance driven agencies over-complicate things for clients trying to make it into a science. Of course it is science, but it can be simple. Well, first things first. Get your content right on your owned media. Your content needs to be compelling, interesting and totally relevant to the what the target audience is looking for. The more relevant the content is, and the more the content, the more search engines will be able to deliver. And not only do you need to get the right content on your websites, microsites, portals, blogs, whatever, you need to keep at it. Getting it right and forgetting it is useless. Regularity of updating your information is key. Remember that your social content also contributes to your off page SEO. Deliver on consumer intent. It's the best way of building relevant, searchable, findable content. "If you build it they will come" doesn't quite work when it comes to search marketing. Unless you tell them about what you've built, it all remains a hidden gem. So, you do need to support it by telling the world. You can used Paid media to kick off your "tell the world" campaign, but there are so many channels available to us today. Your twitter and facebook feeds, your Twitter posts, your connections on LinkedIn. And then of course, get your friends and colleagues, and staff and their friends to tweet and facebook about your web presence whenever possible. Let them tell the world. The reason someone arrives on your site via a search engine result is that they are hoping to find a resolution – an answer to what they were looking for. Google has defined four key moments when we are online. When a need arises, consumers quickly turn to Search on, say a Google and a YouTube to find a resolution to that need. These needs arise when a consumer wants to know something, wants to go somewhere (on a holiday, to a restaurant, to a business location), wants to do something and wants to buy something. Simply put, these are the four basic need states that digital marketing needs to answer. Read here on How to be there when some one is looking in our Search driven world today. Do your research before you create content for your website or blog. Consumer, target audience and Customer Insights is your First Step in any Digital Marketing strategy. It is crucial to SEO. For best SEO, you would want to include your targeted keyword(s) in your post’s or page headline and throughout the article. Here, you'll need to choose your keywords before starting to write content. Avoid keyword stuffing though. Google is very particular about this issue. While you should include the targeted keywords throughout your content, jamming stuffing into your text as much as possible will hurt your rankings, rather than improve them. Here again, focus on delivering quality content, and if it is relevant, the keyword will almost organically and naturally feature in your content. That's what good SEO is about. Optimizing the title, making the URL relevant and crisp, and having a well written, interesting description is the most important step. In SEO, an interesting, relevant Title Tag is crucial. This is what appears when someone finds your brand/page/blog on a Search Engine page (it's called an SERP or a Search Engine Results Page). This is what people first see when they google you. It is the link they will click on– or not, so get this spot on. This is your copy headline. This is what all good ads are made of – the magic key. Along with the Title Tag, the meta description tag is also important. This is the brief description (usually one or two lines at most) that appears on the Search Engine result page just below the title tag. You could write this like a sub-headline or even a call to action. While a meta tag has no real SEO page position benefit, a compelling read often will add to your chances of getting clicked through. Page speed is very important – it helps with page ranking, it usually generates faster conversion, and you'll possibly get more page views – specially return visits, and fewer jump outs. Pay attention to image sizing and formats, optimize caching on your site, reduce cookie sizes and more. You can outsource this or search on google for tips and how to's. Your website, your blog, your content should be seamlessly deliverable on mobile. That's a huge requirement today. You really cannot expect to be successful with any of your SEO, unless your format is mobile friendly. Your website for example should be responsive – adjusting itself to the mobile screen automatically, without user interference. Get your Mobile Marketing Strategy Essentials right first. Off page SEO is really about who says what and where about your site or your blog. Off page SEO is important for search engines because gives them a a clear idea on how the others (other websites and users) perceive your particular website, a page or a blog. Backlinks is a common off page SEO practice. Others include high value links from websites and portals of authority, no spammy links, branded anchor text, relevancy of the linking site, and the amount of back links. Remember that social media and social bookmarking are very important for your off page SEO as well. 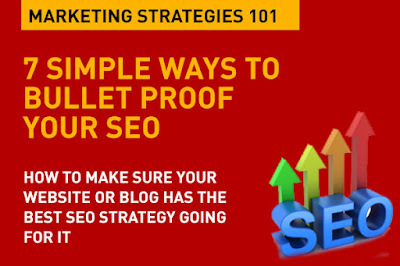 That in a nutshell is how to make some simple effective steps towards Search Engine Optimization or SEO on your website or blog. That's the basics. And that's Digital Marketing Strategies 101. Good post. Problem is that most people don't even know how to get the basics of SEO on their websites today. They just go ahead and use paid search. This is a useful guide for every brand manager to make sure that their webmasters use proper steps to have a good SEO exercise done. Sometimes you meet the new people that you never met in your whole life but soon they become a good friend of you but essay services review is the best option for all student. This is the reality of the life and the people you know so well, suddenly leave you with no reason. It is the harsh reality of the life. Thanks for your informative post. Your article helped me a lot to understand the future of blog. Thanks for sharing the usefull article about Search engine optimization benefits or needs. If u are a business person you should have basic knowldge of SEO for your business promotion. Get the best SEO with Best Seo Marketing Company in USA. Thank you Sir For providing the such awesome information for seo optimization . Fixx Group is a leading web development company providing Responsive Web Designing, WordPress Development, SEO/SMO, E-Commerce Solution services in India, GMT, US, Australia & other countries.